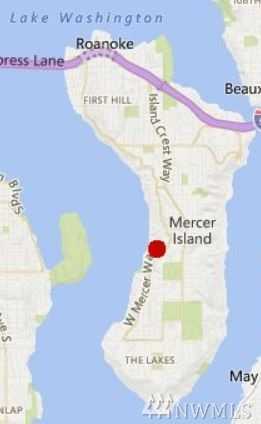 INCREDIBLE 4-lot Short Plat on Mercer Island’s Prime Westside! Bordered to the East by a pretty creek & virgin trees, & to the west by a treed ravine, there is only one proximate neighbor. Build home on Mercer Island that feel like you are in the remote Mountains. Unbelievable! Luxury Modern Homes have already been designed w/full architectural sketches & the City has conducted a full blown Land Use Meeting, verbally approving everything w/minor modifications. Cut over a year of the process! Directions: South on W. Mercer Way to 82nd Ave SE. Right (west) on 82nd Ave SE. Immediate right on Forest Ave SE. After first house, property is on the right all the way to the cul de sac. Please, send me more information on this property: MLS# 1387433 – $4,950,000 – 5202 , 5208, 5214 And 5222 Forest Ave Se, Mercer Island, WA 98040. I would like to schedule a private showing for this property: MLS# 1387433 – $4,950,000 – 5202 , 5208, 5214 And 5222 Forest Ave Se, Mercer Island, WA 98040.